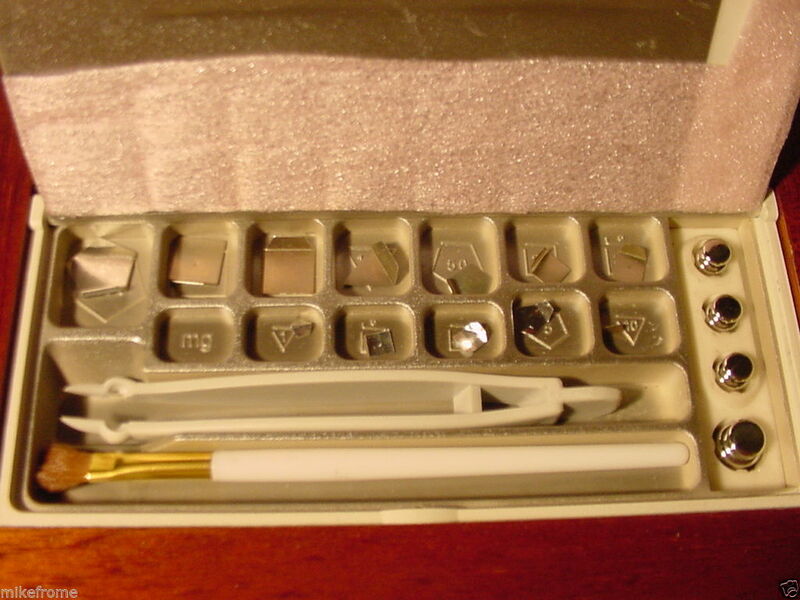 In the beginning of the year I was able to acquire a Denver Instrument semi-microbalance scale. 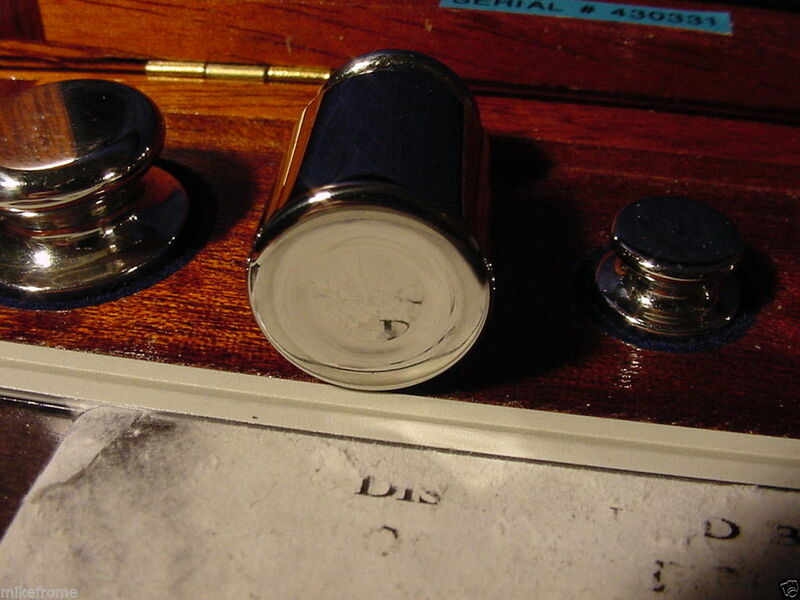 Unfortunately, the balance did not work for too long, but I was able to run a few interesting - and occasionally eye-opening - experiments with the powder measures. Since the demise of that balance, I was looking for a replacement that would not be as expensive, but still produce acceptable results for reloading. To understand why this was a non-trivial proposition, consider the following. Most of the modern electronic scales sold for reloading have the display readability of 0.1 grain. This means that the smallest observable weight difference is 0.1 grain - but it actually does not say anything about the accuracy of the scale (the deviation of the measured weight from the true weight). While we expect that the displayed digits are "correct", there actually is no guarantee that they are - and in fact in a lot of cases they are not. There are two measures of the accuracy of the scale: linearity and standard deviation. Linearity ensures that each gradation of the scale, in the beginning, in the middle, and at the end of the measuring interval, amounts to the same physical mass difference. For reloading, as long as you use the same scale to measure your loads, it is not super important characteristic, because the interval between the maximum and the minimum charges is rather small, so the small linearity distortions do not have a chance to accumulate to materially affect anything. Plus, if the loads were developed on the same scale, all you really care if the winning load has the same amount of powder. So as long as it is repeatable, it does not really matter what the number is. The standard deviation, or repeatability, is a vastly more important property. It shows how much different can the repeated weighing of the same object can be, and so how much uncertainty there is between what the scale shows, and what the real weight is. 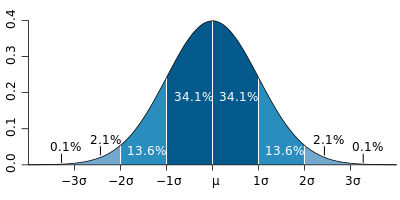 The standard deviation of a typical scale is usually the same as a unit of the resolution. So if your scale has a readability 0.1 grain, its standard deviation is typically also 0.1 grain. As explained here, this typically means that the actual mass has 66% probability to be within +/- 0.1 grain, or 95% probability of being within +/- 0.2 grain, or 99.5% probability of being within +/-0.3 grain. The 99.5% confidence interval for such a scale would then be 0.6 grains, so in actual fact, you can REALLY REALLY REALLY trust the scale to the single grain, or AT MOST half a grain, and not much better. Since most scales have resolution of 0.1 grain, and the powder charges are specified - and expected to be accurate - to within 0.1 grain, well, this IS a problem. Therefore you want scales with 0.01-0.02 grain standard deviation to trust it with 0.1 grain accuracy work. In other words, you need scales with one milligram resolution. The universe of these scales is confusing. There are analytical balances that push $1000, and there are cheap, $50-$100 scales that don't even publish their parameters. I was not ready to spend $1000 on a scale with only 1/10th of the resolution of these other scales that sell for less than $100, and I wasn't sure if buying $100 scales would simply not put more junk in my reloading room. There were two milligram scales that stood out both in personal recommendation from friends as well as in internet reviews: My Weigh GemPro 250 and American Weigh Scales GPR-20 . The reviewers seemed to be pretty excited, but Amazon review system, as well as vast majority of gun lore is usually far from scientific accuracy, and absent any way to check the accuracy of these scales, I wasn't sure I would be able to trust them. The only way to test the accuracy of a scale that I know of is by using the calibration weight set. Of course, there is again this problem of trusting the tool - there are plenty of weight sets on Amazon for around $10, and the scales themselves ship with calibration weights, but how accurate are these? It turns out that there are standards and certification for weight sets, and of course most cheap ones are not certified. The detailed specification of the two most widely used standards, OIML R111 and ASTM E617. 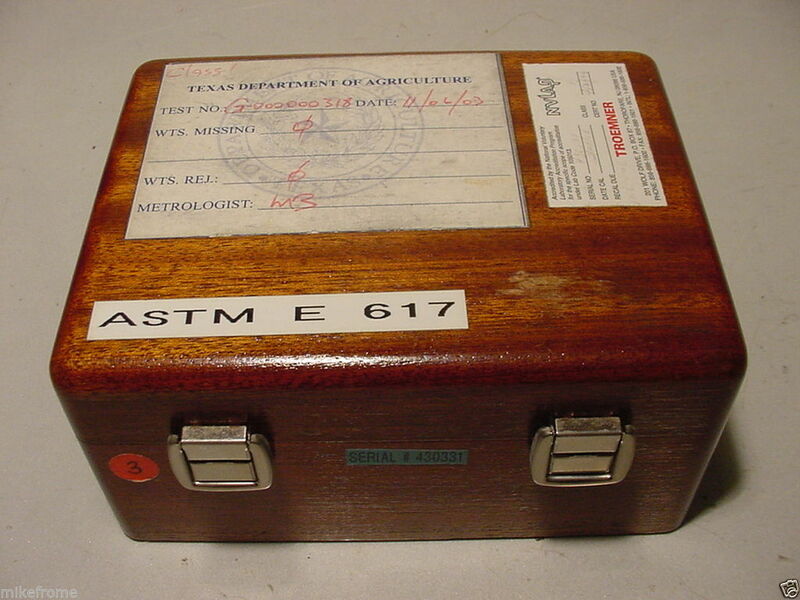 Of these the interesting ones are ASTM Class 0 or 1, or OIML E1. 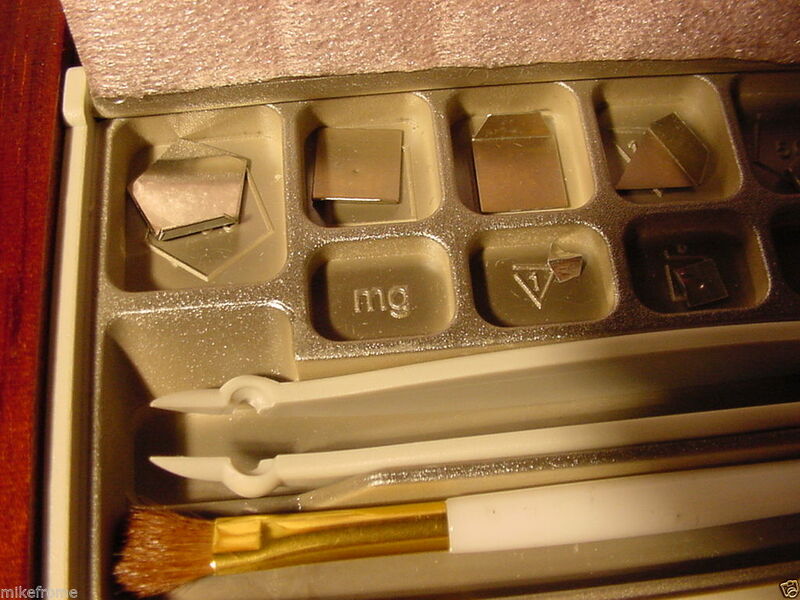 You can also order the sets with an NVLAP certificate, which contains the actual weight for every piece measured with a microgram precision. The tolerances for various weights classes are detailed here. The trick here is the price: calibration weight sets of Class 1 would typically go for just below $1000, and twice that for ones with NVLAP certs. 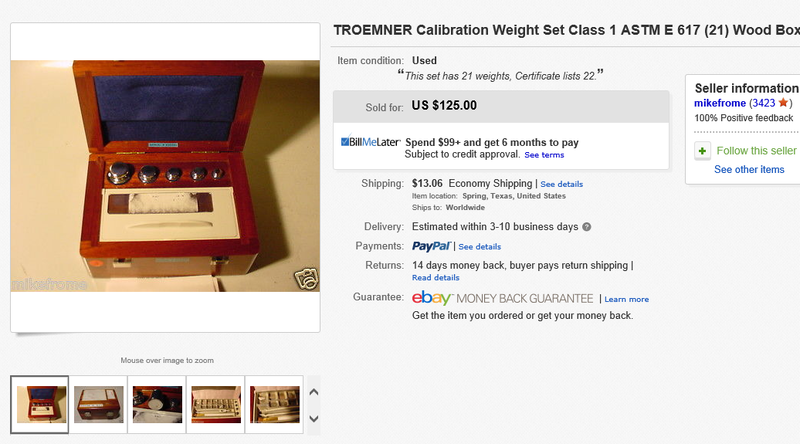 So, the dilemma: you can buy a super expensive scale and trust it because of the brand and the price, or you can buy a cheap scale, and an expensive weight set to verify it. The total appears to be the same. In the end, going the calibration weight route felt like the right thing to do: no scale, no matter how expensive it is will last forever, and will need to be replaced eventually. 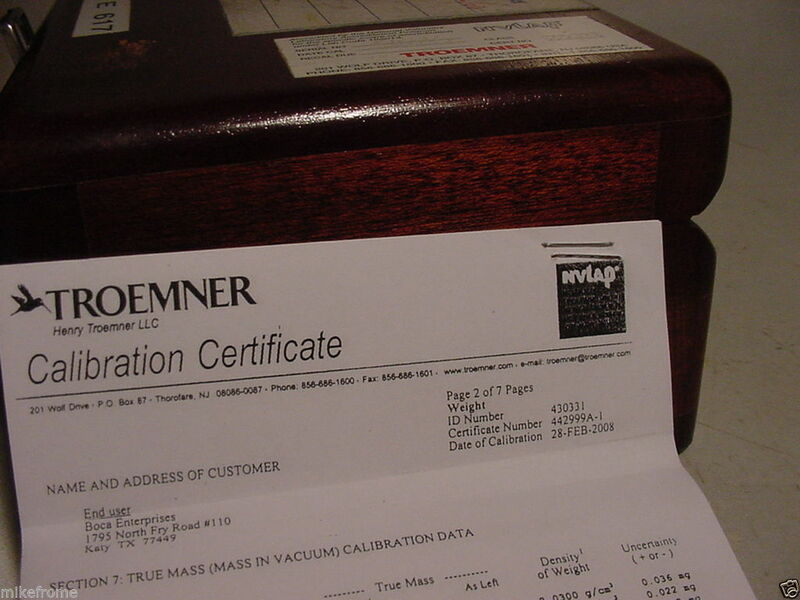 A calibration set is a physical object and has practically unlimited longevity, so multiple cheap scales can be checked out with it in the future. 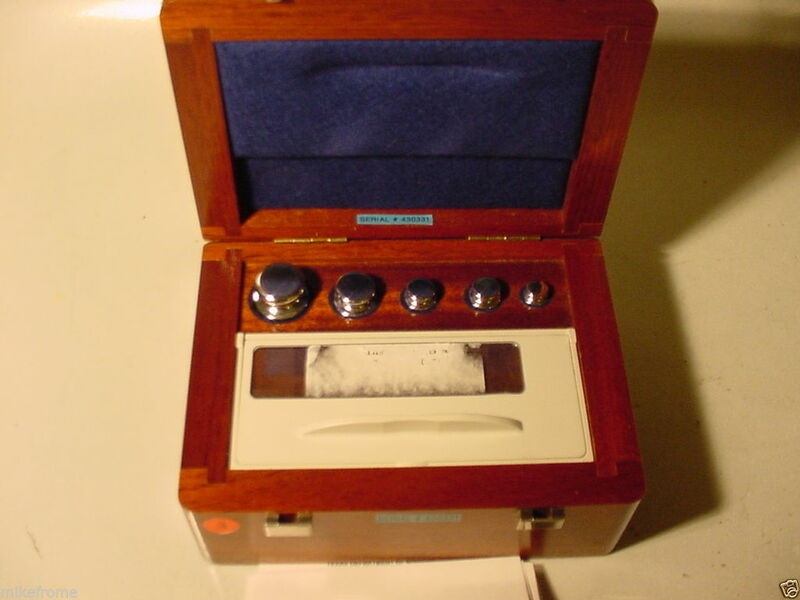 So I was almost prepared to shell out $800 for this: Ohaus Stainless Steel 20 Piece ASTM Class 1 Calibration Weight Set, 1mg to 50g , when, suddenly, a search on eBay turned up this auction. The stage was now prepped, and both GemPro 250 and GPR-20 . came from Amazon. I also placed an order for this relatively inexpensive semi-microbalance scale from Poland: Radwag AS 60/220/C2 . This one took a while to show up (you'd think Nevada Weighing would be in Nevada, but the scale came from Florida).